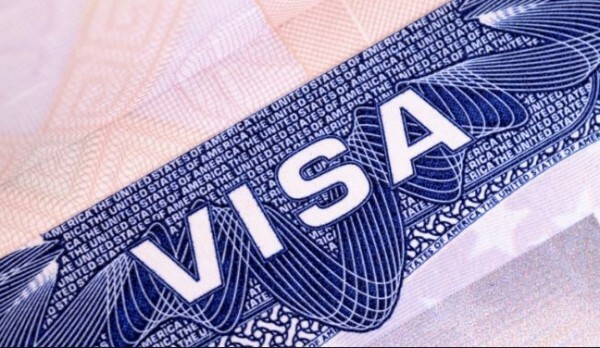 A new report released on April 1, the day USCIS starts accepting new H1-B petitions for fiscal year 2020, reveals that the demand for H-1B visas has dramatically outpaced supply. The report entitled “US’ Outdated High-Skilled Immigration System Needs Overhaul,” was released by the pro-H-1B advocacy group FWD.us and the Orrin G. Hatch Foundation, a forum for political discourse and civic engagement. The report also sheds light on the need for immigration reforms to grow the economy and create American jobs. The report states that the numerical limits and qualifying characteristics for both green card (“immigrant”) and temporary worker (“nonimmigrant”) admissions to the United States were largely established by the Immigration Act of 1990. The legal immigration system has not been significantly updated since then. Yet, in the intervening 25 years, the country’s economy has expanded dramatically. The size of the U.S. economy in GDP has increased by about 98 percent since 1990, Over the same period, GDP per capita increased by more than 67 percent. The number of businesses in the United States increased by at least 28 percent from 1990 to 2016. Meanwhile, there are more than 7.5 million unfilled jobs in the United States. The record low unemployment rates mean finding talent is difficult. A recent study by the Society for Human Resources Management found that 83 percent of employers were having difficulty filling open positions, with 75 percent of those employers saying candidates did not have the necessary skills, like data science and STEM training. The report also reveals that an over-reliance on the H-1B visa program creates choke points in talent pipeline where skilled individuals either cannot move forward or simply choose to leave. The most obvious choke point is the H-1B cap, which is established by Congress over 25 years ago and which has no connection to the needs of the market in 2019. Since 1997, the full H-1B visa cap has been exhausted every year prior to the end of the fiscal year—except for three years when Congress temporarily tripled the cap. Simply put, there is a profoundly higher demand for these skilled workers than the current law is able to supply, handicapping American businesses. The report also points out that today many are considering other options. According to one survey, 70 percent of H-1B holders waiting for green cards said they were considering emigrating to a different country, with 30 percent saying they have started the process. The report says that while the United States has the opportunity to remain the top destination for the best, its current immigration infrastructure must be able to retain these talented individuals or capitalize on their contributions. In contrast, the Canadian immigration system provides timely processing through a government-run enterprise, which successfully selects nearly the same number of skilled immigrants as the United States, despite having a population only one-tenth the size of the United States. A skilled worker with a job offer from a Canadian employer can obtain permanent residency in six months. The report also points out that, while the United States already has some of the greatest talent on earth, the challenge now is keeping them here. That will require developing new immigration programs for foreign-born startup founders, graduates of US universities, and high-skilled workers and their families. Congress also needs to raise the H-1B cap — which has been far too low for decades — and tie it to market demand to meet the needs of our modern economy. “Immigrants are good for the economy” is typical politician-speak for “they are good for my vote bank”, and “I want more of them because the usual dopes are fed up of me and won’t vote for me”. Enough of importing cheap third world labor into the USA to replace US citizens. STOP THE VISA MENACE NOW!!! Trump admin must do everything possible to prevent the complete collapse of the US workforce under the weight of foreign indentured laborers.